Jeff Maggioncalda, Coursera CEO, will discuss Coursera’s role in the future of education. Mr. Maggioncalda joined Coursera after Rick Levin stepped down in 2017. Coursera, an online education platform, partners with 160 top universities and industry leaders to offer online courses and degrees to over 35 million registered learners around the world, more than any other massive open online learning (MOOC) platform. He previously served for 18 years as the founding CEO at Financial Engines Inc, a company co-founded by economist and Nobel Prize winner William Sharpe. Financial Engines grew rapidly under Jeff’s leadership, providing high-quality online investment advice that has helped millions of people save and prepare for retirement. 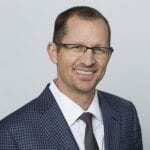 Jeff has also worked as a consultant at McKinsey & Company and Cornerstone Research, and continues to serve as a Director of Silicon Valley Bank, Inc. The Provost’s Conversations on Online Learning (PCoOL) feature public talks by leading experts and peers on the future of education, specifically around online education. PCoOL events are free and open to members of Columbia community with a valid University ID. Learn more.